Green with envy! 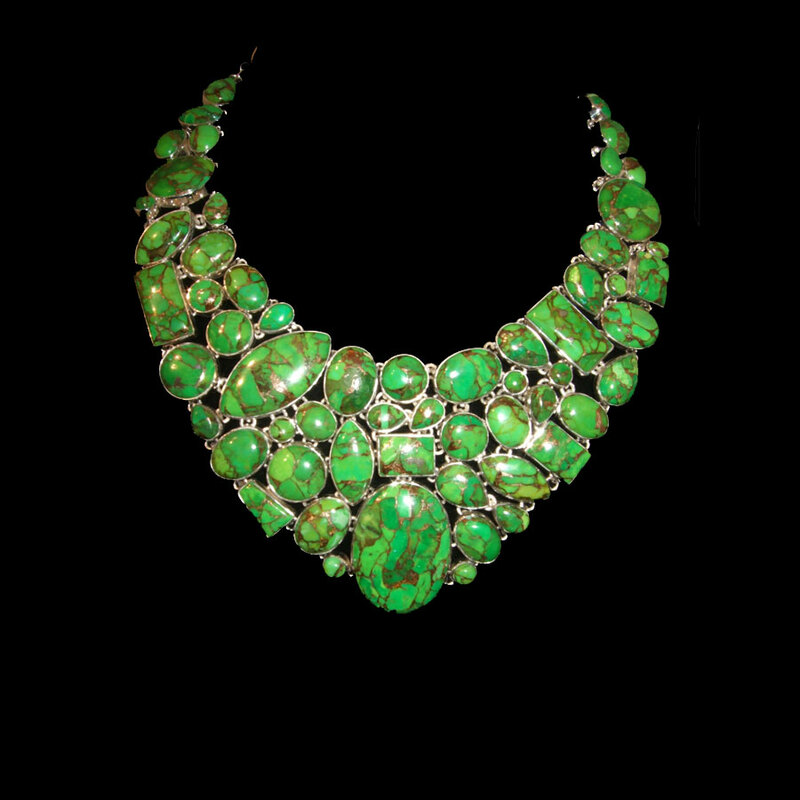 That is what all your friends will be when you wear this stunning necklace! 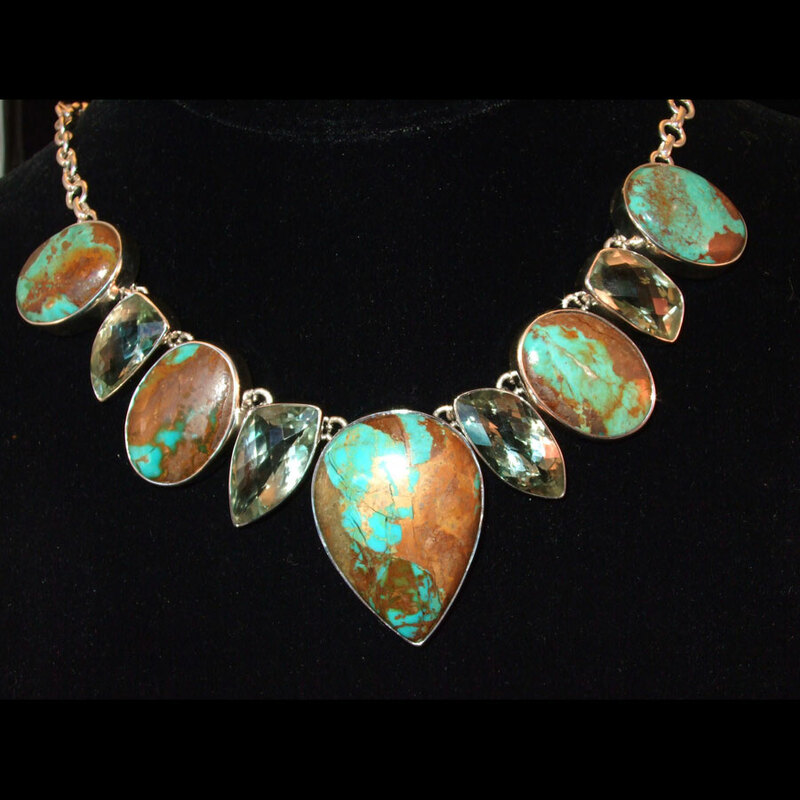 This is a multi-stone necklace featuring Green Mojave Turquoise. It is definitely a show stopper and one-of-a-kind! Each one of these stones is hand-bezeled in .925 Sterling Silver and then joined on the back with a small Sterling Silver loop. This gives the piece flexibility so that it lays nicely on your neck. 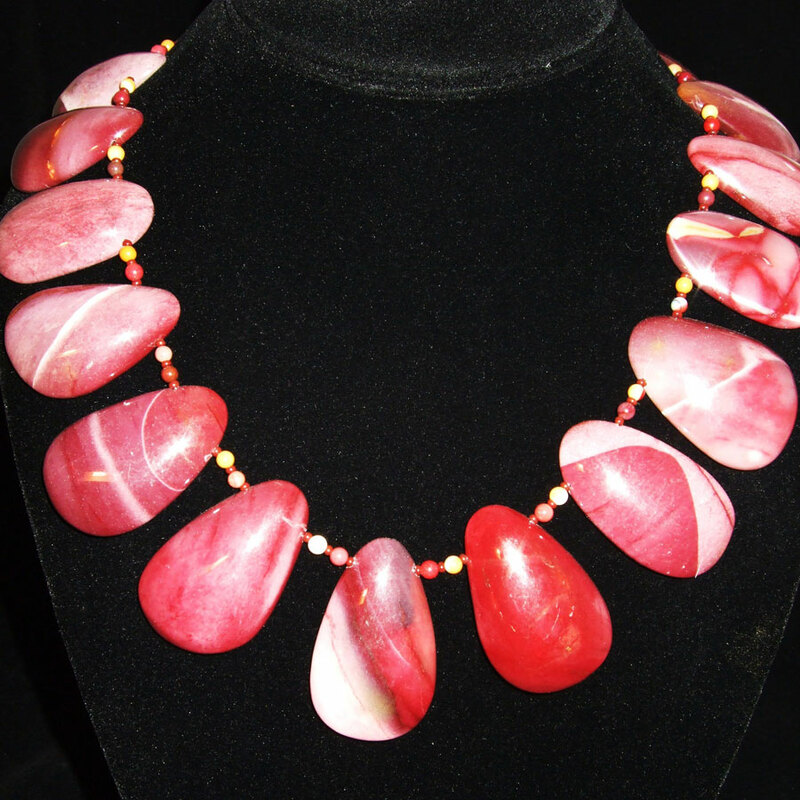 It measures approximately 21″ in length and has a lobster clasp. There are six large rings on the back so you can adjust the length on this to fit your neckline. Can you imagine this on a black dress? Absolutely gorgeous!